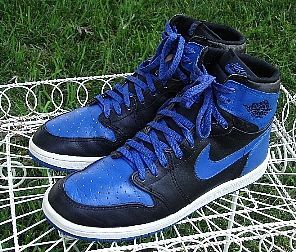 Shoes are produced according to requirements of that particular sport. 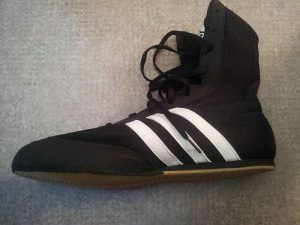 For example, wrestling shoes provide a lot of traction so you don’t lose balance and fall easily. Boxing obviously has their own requirements and I have witnessed that some people get other shoe types including running shoes. This is seriously wrong and can even jeopardise your health and these just don’t have good qualities for training performance. Boxing shoes provide you many advantages and if you do boxing, it is simply a must. Without further ado let’s start benefits of wearing boxing shoes. First of all you need very good quality ankle support. Without it, you will probably get injured during your boxing training. Many non-boxing shoes fail here. These include running and tennis shoes too. Ankle support is the most important healthy safety quality. Low cut boxing shoes provide less ankle support and high cuts provide more. Imagine that after dodging a punch you don’t provide balance properly with your shoe or regaining your balance may happen later with it. When it is the case you will have more likely to be knocked out or if you do sparring and even your partner use protective boxing gloves, the punch will obviously hurt. Anyway, your boxing shoe needs to provide balance incredibly well, period. As a side note, I have many “big” boxing buddies and these guys have large feet. Some of them just could not maintain their balance with their regular boxing shoes. Well, that was a problem and we found right shoes a long time ago. 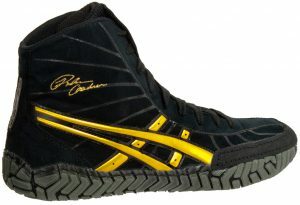 And if you have the same problem, check out the reviews of these quality boxing shoes. You should be able to move quickly and change direction quite fast in boxing and you can’t do these efficiently with heavy shoes, can you? Boxing shoes are way lighter than regular shoes and thanks to that you can pivot faster, dodge better etc. Even though boxing shoes are light these are really sturdy. Boxing shoes are designed to be extremely durable against sharp manoeuvres and will have way less deformation than regular or any other sport type shoes. Generally, suede and genuine leather are preferred materials and do quite a good job to provide durability. So you can expect to use boxing shoes more than any other shoe types during training. In last decade, the boxing shoe brands have produced shoes with incredible thermal regulating mesh. And based on my researches it was not always like this. Anyway I have experience with 9 different shoes in last 8 years. And even though some of them were extra tight and hurt my feet a little bit, once I finished the break-in period I had only good experiences about the comfort of these shoes. When you do boxing, your shoe should point your opponent while you are punching. This requires your shoe to pivot well and you should be able to do it fast. After all your opponent won’t wait until you punch right? The front side of sole is suitable for pivoting and companies generally use rubber to achieve that. And as you know pivoting is really important because you can pinpoint your target and punch way more accurately. These are the performance related qualities and obviously you don’t need to pivot when you run or play basketball. So these sport shoes don’t need to have it and obviously wearing other shoe types will be far from ideal for boxing. Obviously some boxing shoes are just superior to others. These have better leather quality, are “light” and also provide you to move “sharper”. If you are looking for really quality boxing shoes, definitely check out my boxing shoe list. I reviewed them very thoroughly and you can also see which ones provide more grip and less pivoting or vice versa. So you can get it according to your preference. Can You Use Other Shoe Types for Boxing? Actually many professional boxers use wrestling shoes. These provide way more grip and you will lose your balance harder with them. But these shoes sometimes can interfere with your movement. It is actually personal preference and I also used wrestling shoes but as I said it provides a lot of grip and it is just not my style. I prefer less traction and better pivoting. You can have a look at the comparison of these two shoe types for more info. As a side note wrestling shoes also provide good ankle support and a lot of traction. Shortly you can prefer wearing wrestling shoes for boxing. With that I highly suggest you to stay away from shoes which don’t have good ankle support like running shoes. These are also bad for providing balance and obviously don’t let you pivot. Well I want to talk about only my experiences here. Because no one says exactly what they have done with their shoes. And many people wonder about that if they wear other shoe type instead of boxing shoes can they save money? Firstly I had played basketball a lot before I started going to boxing gym and had many basketball shoes. When I started doing boxing training, honestly I did not want to spend $100- $150 for good quality boxing shoes because I just simply could not spend that amount of money. Anyway I started doing boxing training with basketball shoes. After a few months, the sides of shoes started widening and because of that I sometimes could not maintain proper balance after dodging or punching and my training quality suffered a lot. So no you won’t be able to save money with basketball shoes. Because just after 5-6 months these will be useless. The same thing also happens to running shoes as well. However wrestling shoes are durable for it. Actually some of them are even sturdier than boxing shoes so you can even save money with wrestling shoes. But as I said before it provides a lot of grip and it may not be your style. As you can see there are many advantages of boxing shoes. Most importantly you will have way better ankle support and when it provides that, it also won’t cause any discomfort whatsoever. Boxing shoe also lets you pivot easily so you can punch more accurately. You can also wear other shoe types if these have good ankle support. But keep in mind that other than wrestling shoes the other types generally don’t have it. I hope you enjoyed reading my writing and if you have any experiences or questions about the subject just leave a comment below. Thank you for that information. I never knew much about boxing shoes and learned quite a bit from reading this. It is interesting to see all the different benefits they may provide! Yeah, wearing boxing shoes is a must for anyone whether they are beginners or not. In my opinion, getting it is not optional as people just can’t their best during sessions. And honestly, I hate to see that people are wandering with some sorts of another type of shoe in the ring.